Welcome home to a simply stunning townhome with all of the upgrades you’re looking for! This Brambleton beauty is super close to the Brambleton Plaza and right in the middle of many amenities, complete with great views. This garage townhome style condo features a slew of upgrades: sleek granite, gleaming hardwood, tile, lighting, and more. The main level of the townhome is open and spacious, its large eat-in kitchen with keeping room perfect for day-to-day meals and entertaining. Relax comfortably in a spacious living room with a cozy fireplace and TV area (perfect for those Netflix binges!). Don’t hesitate to show off the formal living and dining areas, your go-to hotspots for entertaining. The extra room on the main level is perfect for a playroom for the kids or a study room/home office for the working couple. The upper level is spread out, with 3 bedrooms, 2 upgraded baths, and a generous common area. 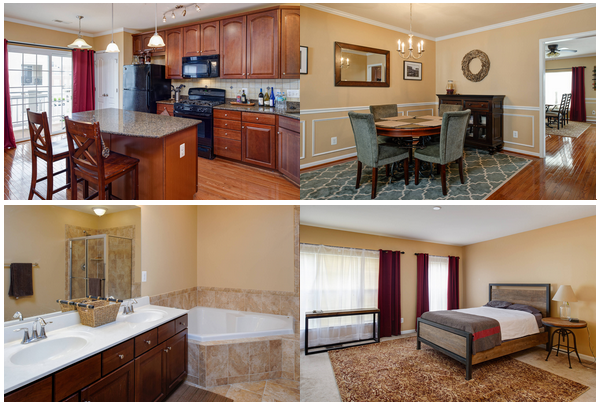 This spacious slice of paradise is conveniently located in the friendly and upgraded Brambleton area, a growing community that is already home to more than 2,000 residents. 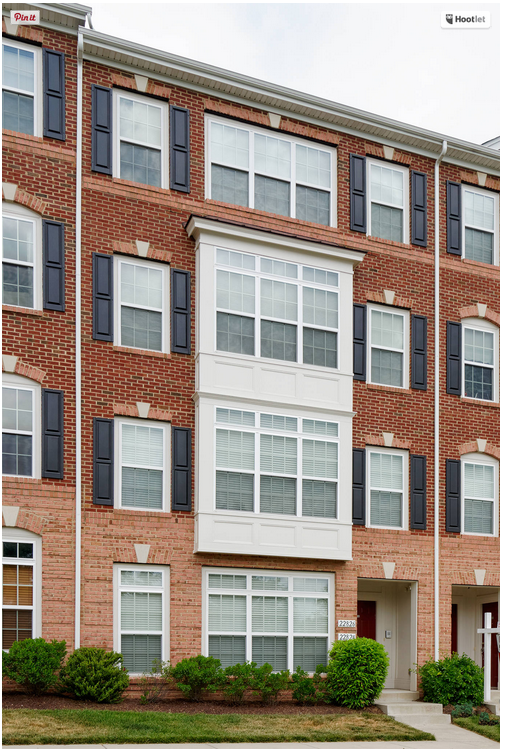 Originally named after a plantation located in the area, Brambleton is located abot 9 miles south of Leesburg, incorporating approximately 2,390 acres. The community is very scenic with lakes, wooded areas, park, parks, playgrounds, trails and open spaces to enjoy. The community offers the best of both worlds– a small town feel with all the modern conveniences. Brambleton boasts being the 1st wireless, high-tech community in the country. Other stellar amenities include 4 pools, soccer, football, softball and baseball fields, a brand new 38,000 square foot health club in the Town Center as well as a bounty of walking/bike trails. The easily accessible town center has everything you will need, from shopping, movies, restaurants and much more. Hungry? Brambleton specializes in upscale, family-friendly dining, with places such as Blue Ridge Grill, your spot for American eats and friendly atmosphere, or perhaps Froots, your go-to smoothie joint with other healthy food, or Johnny Rockets a family-friendly destination for all things burgers and shakes. Spend a night out on the town and dine in an upscale-Mediterranean atmosphere at Nick’s Taverna or take time to unwind at the Lost Rhino Retreat, a brewery and restaurant with good food and friends. In addition to being a hub for shopping and dining, Brambleton is host for many events throughout the year, which include but are not limited to: summer concert series, Casino night, holiday events and charity events. Kids growing up in the area are more than covered when it comes to education– the community has access to the award-winning Loudoun County public school system, with children attending Creighton’s Corner Elementary, Rosa Lee Carter Elementary, Stone Hill Middle, and Briar Woods High School. ~To view Ask Gina & Company’s Brambleton Listings or to ask any other Loudoun County Real Estate Questions, visit us online at HTTP://WWW.ASK-GINA.COM/ or call the AGC team at (703)574-3478 to learn how you can plant your roots in a home-y community exploding with amenities, a hub of activity with a healthy spoonful of sunlight and culture that adds up to your ideal family lifestyle!